The interview was done at the time of the launch of Cold Press, in June 2017. 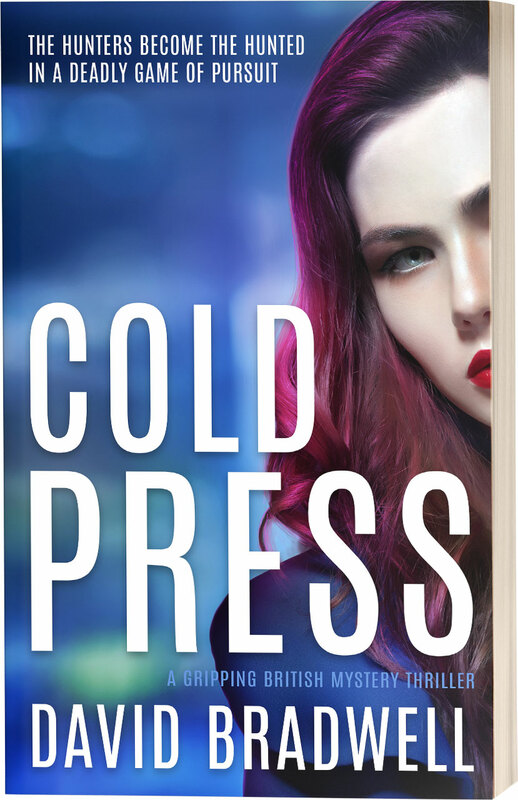 When did you write Cold Press? The original version was written in 1993 when I was working on the Sunderland Echo – an evening newspaper in the north east of England. I knew it wasn’t really good enough for publication at the time, but I enjoyed the challenge. It was writing for the joy of writing rather than any sense of a commercial endeavour. What happened in the intervening 24 years? Haha… life got in the way. I moved to London in 1994 to work on a magazine and the hours were extreme. It didn’t leave much time for writing, but I did start a web site for writers called Pure Fiction. I finally wrote a new novel, called Skirt, in 1999, but shortly after that started my own business and the hours got even worse. In October/November 2016 I read a brilliant book called Magpie Murders by Anthony Horowitz and something just clicked. I’d been a writer, in one form or another, for nearly 30 years, but suddenly had an overwhelming urge to return to my first love of fiction. That prompted me to find the old manuscript, lost on the hard disk of an old computer, and read it through – mainly for the sake of nostalgia. It was so long ago I’d forgotten most of the story and the twists. It was fairly rudimentary, and lots of bits made me cringe, but there was enough there to keep my interest. It was weird – I was intrigued by the plot, wanting to know how it ended, even though I’d actually written it. Memory is not my strong point! How did you go about the re-write? The initial plan was just to edit it into shape. I downloaded a bit of software called Scrivener, loaded in the manuscript, and then started line editing pretty much from the very first sentence. Then after three chapters I stopped, and decided to do a much more substantial re-write. I spent a fair bit of time transcribing the essence of each chapter into an outline, and then spent ages working on that and refining it until the whole story and structure was much detailed. I’d definitely recommend Scrivener though. It’s an absolute joy to use. I was able to concentrate on the story and the characters while the software took care of keeping track of things. I’d also recommend the James Patterson Masterclass course. The sections on outlining, in particular, were very influential. What changed in the new version? Almost everything. I deleted about 20,000 words of the original manuscript, changed most of the rest, and then added about 50,000 new ones. There are lots of new characters and lots of new twists. The ending is completely new and the whole shifting viewpoint structure was added. It has a new title, new themes, a lot more intrigue and hopefully it’s altogether more interesting story, although that’s not really for me to judge. Well, it’s set in the winter, so it’s always cold, and it involves lots of newspapers so that’s the press. But I also wanted something that gave a nod to a sinister sense of mounting tension. I used to read lots of Agatha Christie books when I was younger, and was always captivated by the red herrings, twists, and shifting finger of suspicion. I think that’s what resonated about Magpie Murders too – it was a brilliant Christie-style whodunit, but then dressed up within another whodunit that was just as intriguing. It was a multi-level work of genius, yet still accessible and very entertaining. If I could write anything half that clever one day I’d be extremely happy. And amazed. That said, Cold Press isn’t a classic whodunit as such. Hopefully there are elements of humour there too. 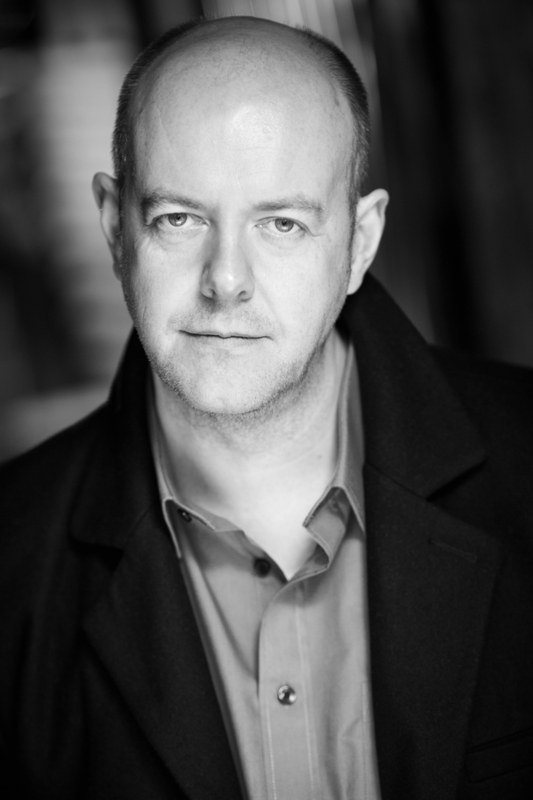 I’ve studied a lot of screen acting over the last couple of years, and that was a huge influence as well. Writing and acting are closely related. They’re all about realism, authenticity and believable characters. Why did you decide to leave it set in 1993? When it was first written it was contemporary, but when I re-read the original manuscript I enjoyed the sense of nostalgia. There were dot matrix printers and call boxes rather than LaserJets and mobile phones. Nobody had really heard of the Internet. It was tempting to bring it up to date, but I thought maybe it would lose something. It had a certain authenticity of the era that I was keen to preserve. I still had the original research from 1993, when I took a trip to London to scout locations, and a lot of that was useful. The Internet, of course, played a big part. Ironically in searching for information about the Sunderland night club, I found an article published in the Sunderland Echo in 2015 that used photographs I’d originally taken while I was working at the newspaper in 1993. I became a bit obsessional about period detail, reading lots of articles about the development in the Docklands, for example, and tracking the ever-changing names of airport hotels. That said, the weather in London in February 1993 was not quite as bleak as it’s portrayed in the book. I allowed a bit of artistic licence. Originally no, but it is now. Without wanting to give too much away, I’m currently outlining the sequel. 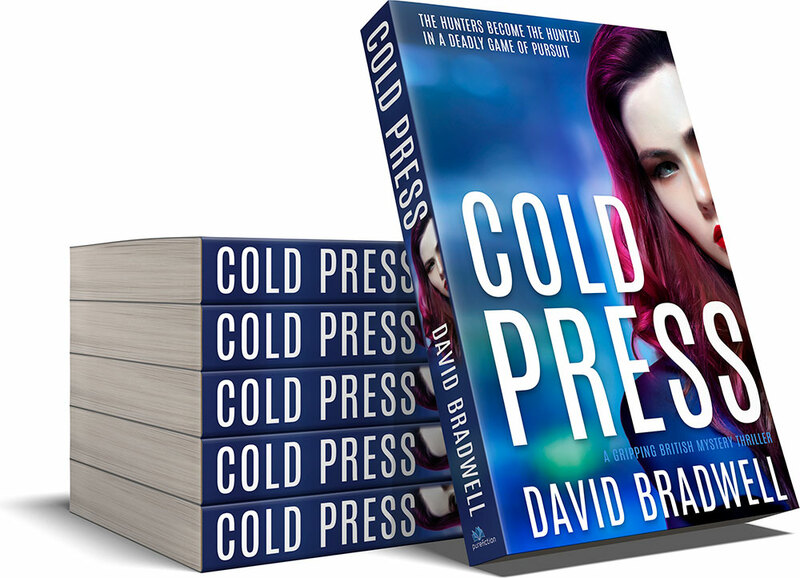 When I finished writing Cold Press I had a real sense of loss. I’d spent so long with the characters that I really missed them – a couple in particular. So I thought it would be fun to get the band back together, as it were, and take the story to the next level. Lots of things that were briefly touched upon in Cold Press are going to be explored further. Not everyone survives into book two, of course, but I think we’ll find out a lot more about those who do. And there are lots of new characters too. 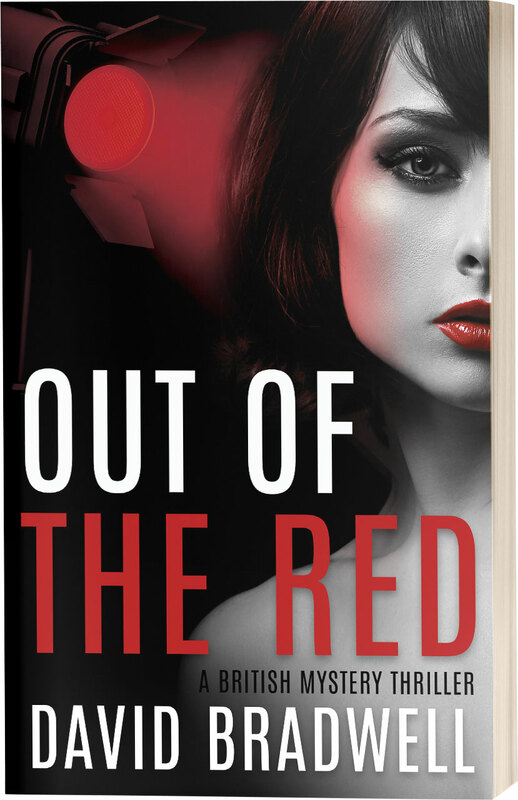 Yes, it’s called Out Of The Red. I wrote another novel in 1999 called Skirt and that’s just had the full re-write treatment too. It’ll come out one day but there’s no mad rush. Skirt is less crime, more comedy, but there are still twists. It was a huge amount of fun to write, but easier to knock into shape as I think it was a lot more polished to begin with. It has a very different, and quite unconventional narrative structure, but is mainly me poking fun at myself. Hopefully it’s entertaining though, although that’s not really for me to judge. Aside from that I wrote a screenplay called The Package that morphed into a short film called Calibre in which I had an acting role. I’ve written a new screenplay called The Burglar which should be turned into a film soon. Aside from that I spent many years working on newspapers and magazines as diverse as Smash Hits and the Sunday Times.